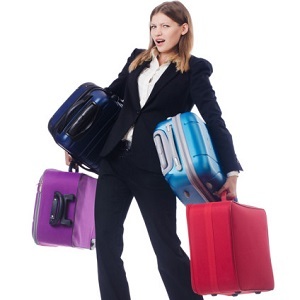 [Blind Gossip] Most actors try to travel light when they are traveling because of work. She brought everybody and everything on a recent work trip. Why? She hates leaving [her famous husband] alone because he is more likely to drink when she does that. So she brings him along and gives him chores as if they were at home (like doing activities with the kids and taking care of the pets). If he’s busy and responsible for things, he’s more likely to stay out of trouble while she’s working. [Optional] Smart strategy or overly controlling? Optional: Smart, I guess. But it doesn’t say a whole lot about Ryan’s self control or motivation. These 2 are not married. Blake Lively is married to Ryan Reynolds, and it’s Ryan Gosling but he’s with Eva Mendes. Blake Lively is married to Ryan Reynolds..not Ryan Gosling. She sounds like she’s doing her best to keep him sober and healthy. Mila Kunis is the only person I can think of with kids and famous husband. Ashton seems like he would party. If it works – smart. She’s controlling. He admits she’s the one who got him to sober/clean himself up. And wasn’t there something out today about them taking their cats away with them, as well as the kids and luggage!!! You say ‘controlling’; I say ‘strong’. But I like your guess. I’m on board! Why do I get a Nicole Kidman/Keith Urban vibe? Did she take him to whatever film festival she attended recently? Boredom is the worst thing for an addict, she’s being smart. Clue – Traveling mentioned 2x in the clue. Blake starred in Sisterhood of the Traveling Pants. I think this is Dax Shepard and Kristen Bell because the day before this blind went up, Kristen made a very sweet Instagram post to wish Dax a happy sobriety anniversary. The post had a bunch of photos of Dax caring for their kids in various locations. Optional: I think traveling as a family and keeping Dax connected and busy is a smart strategy that seems to be working for them. I’ve always rooted for their relationship to succeed.